Founded in 1996 this online platform offers booking services to its customers. Available in over 40 languages booking.com has established its roots in over 70 countries worldwide. Its instant booking, secure payments, multi language availability, 24/7 customer support and lower rates are some of its best features admired by its customers. Booking.com not only aims to offers satisfactory services but lower rates are also kept in concern. Downloading its application on your mobile phones will give you a chance to save on your hotel bookings with it alluring deals and offers. Apart from hotel booking this online portal gives you chance to book your flights and rental cars within your budget. Every day this online portal is able to serve more than 1 lakh customers worldwide who are either travelling for business or a holiday. Be the part of this booking portal and give yourself a chance to explore this beautiful world at lower rates and within intact security. Save your money on your next weekend trip to Hong Kong by booking hotels available at a discount of up to 30% only at Booking.com. Have a great weekend with this amazing deal. Book hotels across India from Booking.com and get up to 50% off on your booking. No booking fee and cancellation charges will be charged. No promo code is required to avail this offer. Visit the store and get the best deal on your email id. Hurry to sign up now. Book a hotel in Chennai and save a lot of money only at Booking.com. Get best accommodations at reasonable prices. No promo code is needed to redeem this deal. Sign up at Booking.com’s newsletter and get a discount of up to 50% on various deals. No promo code is required. Sign up today to save your money. Book Singapore hotels from Booking.com available at a discount of up to 40%. Hotels and room depends on availability. Hurry!! !Book now to grab this deal. Book the hotel in Agra at a reasonable price and save the money. 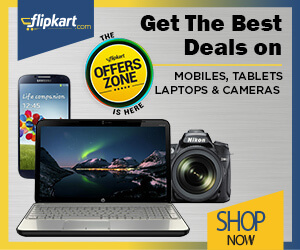 Deals start at Rs.898. Save time, save money! Book hotel online and get up to 47% discount. Offer is applicable only on Dubai hotels. Offer includes free Wi-Fi, free parking, airport shuttle, fitness center, non-smoking rooms, indoor pool, restaurants and much more. Discount may vary from hotel to hotel. Booking.com is offering you 20% off on Lucky 11 Hotel for two nights. Please visit the offer page for more details. Book now and get 49% off on Zen Rooms Basic Neotel Hote. Also get free WiFi. Every room comes with a flat-screen TV with cable channels. Don't miss this offer. Our Story : Booking.com had a humble beginning in Amsterdam in the year 1996. This online portal has grown to become one of the most reputed and trusted names in providing accommodation solutions by aggregating various places of stay like hotels, home stays, apartments, vacation homes, family run B&B, tree houses, five star luxury destinations, and even igloos! The company has more than 15000 employees working for it across 187 offices located in 70 different countries. The company has leveraged digital technology to create a website and mobile app that is available in more than 40 languages, with 1386005 listed properties spread across 11077 destinations in 225 countries worldwide. It does not matter whether you are traveling for business or pleasure, this portal guarantees comfortable stay at best prices. If you are not too sure about where to stay or have a limited budget for your accommodation, then Booking.com is the best option. This online hotel booking portal has aggregated thousands of properties to help travelers stay in comfort with affordable stay options. You can book your hotels by going through various options and reading reviews for the right decision regarding hotel stay. The simple booking process is outlined as under. You need to specify your destination, check in and check out dates to see every available option after you click the search option. Every available accommodation along with prices will be displayed. You can read reviews, compare prices, and check amenities before you make your final choice. You can confirm your booking by making the final payment online. You will have to use booking.com coupons to activate offers at this stage and pay the discounted price. Online hotel reservations are popular not only because of the convenience they offer but also because it helps you save money. You can look forward to best prices that are often the lowest when you book through this portal. In addition, you can also redeem different offers to gain some extra savings on hotel prices. If you download the Booking.com app, you can get exclusive booking.com app offers in your mobile. Signing up for their subscription and registering as a user also gets you some benefits in the form of special offers. You can uncover secret deals that let you save up to a whopping 50%! Booking.com has redefined hotel reservations in a major way. Right from simplicity of booking process to amazing deals, there are several other advantages that give this portal an edge over its counterparts. Go on to find out what these are. New deals are added every day that provides you with multiple choices at best prices to match every pocket. You can use hotels coupons if you wish to save some extra bucks. Wide network of 1386005 listed properties with options for various preferences and budgets in different countries. You have a 24*7 customer service team for help and support in more than 40 different languages at any hour. Easy online management of booking at any time whether you want to change, send a request or cancel with a few clicks in a matter of minutes. Real time reviews by guests that help you make the right choice of hotels. Easy to use mobile app for Apple, Android and Windows phone that helps you make hotel reservations even while you are on the go. Digital technology has taken over almost every aspect of our lives. Online bookings of hotels and other travel related services have become very popular owing to sheer convenience. Besides you can also use discount coupons from coupon aggregators like Savio Plus to get additional discounts on hotels and save money for every travel.